Los Angeles’ Griffith Park is huge. Among other amazing features for nature lovers, it’s home to the Griffith Observatory, a national leader in public astronomy. When I began planning my first visit to the Observatory, I had no intention of taking The Big Explorer. I figured he was too young to find much there of interest. But my step-mom was convinced there’d be something he’d enjoy. And if not, no big deal; entrance is free. Sometimes, I love being wrong. 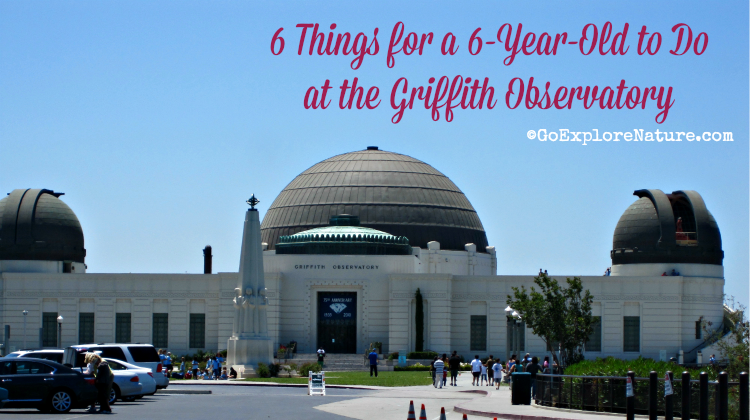 In case you’re like me and think the Observatory is no place for kids, here are 6 things for a 6-year-old to do at the Griffith Observatory. 1. Weigh yourself on Jupiter. Or Mars, for that matter. Where do you weigh the most? The least? 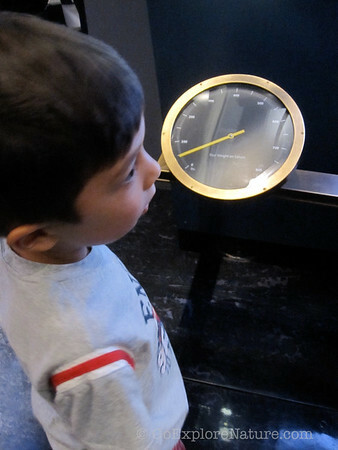 Head to the “Gunther Depths of Space” exhibit for side-by-side comparisons of the planets and find out. 2. 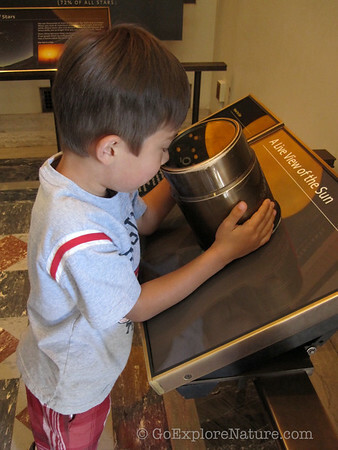 See the sun through a solar telescope. Three different views of the earth’s star are available for viewing. It’s a telescope kids can use during the day! 3. Watch a star show. 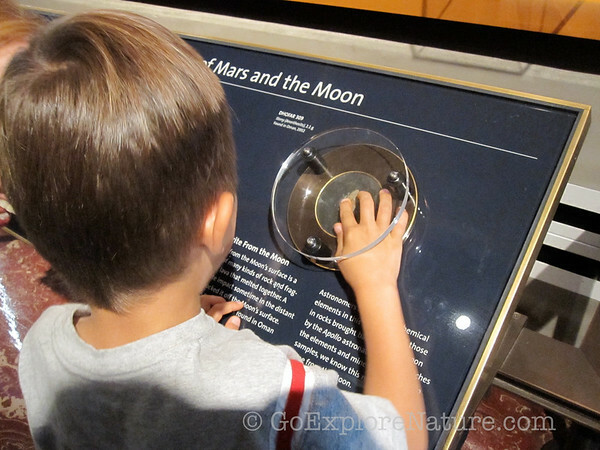 Head to the “Edge of Space” exhibit area and ask permission at the Information Desk to touch an actual meteorite. If you miss out, no worries! There are other meteorite fragments available for touching at the adjacent display. 5. Get some planetary perspective. 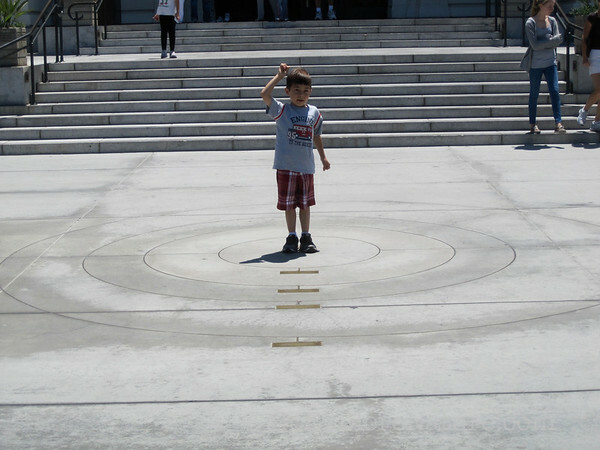 Don’t miss the scaled-down version of the solar system just outside the main doors to the Observatory extending out to the front lawn (look down – it’s on the ground). See where each of the planets is in relation to each other by standing on one while someone else stands on another. The Observatory offers some of the best views of the city you’ll find anywhere. 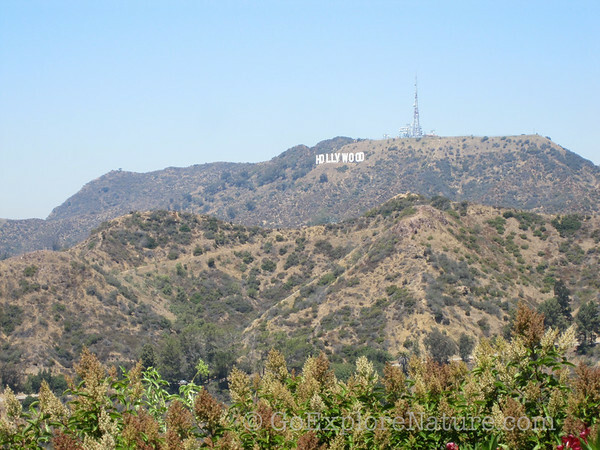 Plus, you’re guaranteed an unobstructed look at the Hollywood sign.